Reports suggest that Nintendo could announce them at E3 this year. Nintendo might be planning to launch two new Nintendo Switch models in 2019, according to sources at the WSJ. Rumours suggest that both Switch devices could be announced at E3 this year and release as early as Summer 2019. Rumours of new Nintendo Switch iterations have been making the rounds online since 2018. However, according to the latest report from WSJ, there appears to be more than one version in Nintendo’s potential pipeline. In addition to the upgraded Nintendo Switch model rumoured late last year, Nintendo could also be planning to release a budget-friendly model that strips away some of the Switch’s bells and whistles. 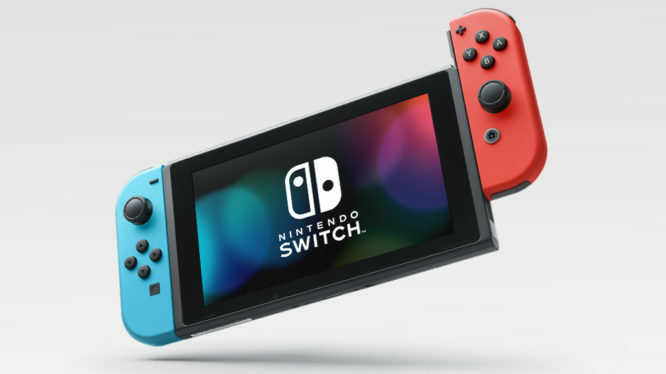 If the report is to be believed, then upgraded Switch model will be an “enhanced” version of the current console tailored towards the “avid” gamer market. Despite being more powerful than the standard model, this enhanced iteration is rumoured to be less powerful than Sony’s PS4 Pro and Microsoft’s Xbox One X consoles. No comparisons against the standard models of the PS4 and Xbox One were provided though. The budget-friendly version or “downgraded” Switch model, is supposedly designed to act as a successor to the Nintendo 3DS family and target the “casual” gamer market. In an effort to reduce the cost of the cheaper model, Nintendo has allegedly removed certain functionality (like HD-rumble) from the console. Despite the cost of the potential revisions being unknown, the report did indicate that Nintendo would most likely unveil the upcoming devices during their E3 2019 presentation. It was also suggest that the new Nintendo Switch models could launch “as early as this summer”. As with all rumours, no matter how likely, it’s always best to treat this information with a dash of scepticism. Until Nintendo announce information about the new models themselves, nothing should be taken as fact.